It’s been a long time coming and it looks like it will still be a while before South Africa’s defence industry has a code that brings it into line with black economic empowerment guidelines similar to other industry sectors. In October last year the second round of public input for the draft broad-based black economic empowerment (BBBEE) Defence Sector Code, as set down by Trade and Industry Minister Rob Davies, closed. Solomzi Mbada, Armscor Group Executive: Corporate Support, said of subsequent developments that “the Defence Sector Code was approved by Defence and Military Veterans Minister Nosiviwe Mapisa-Nqakula and submitted in June 2018 to the Minister of Trade and Industry”. In response to a defenceWeb request he said further: “The Department of Trade and Industry requested a report outlining the process undertaken after the 60 day commentary period and in particular key issues raised by members of the public and how those issues were resolved by the steering committee. The Department’s request is being attended to by the steering committee and once finalised the Defence Sector Charter will be submitted to the Department of Trade and Industry for approval and gazetting”. Last August, prior to the draft BBBEE Charter going to Davies’ department for the first time, it was described as “a fit-for-purpose document” developed specifically with the needs of South Africa’s defence industry in mind as well as the need to make space for military veterans, women and the youth. 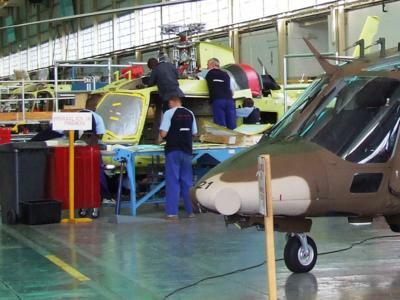 The Defence Sector Code makes provision for companies to procure at least 60% of products from local companies and provide support for companies introducing new technology into the South African defence industry and, by extension, the SA National Defence Force (SANDF), as users of the new technology. Simphiwe Hamilton, executive director of the SA Aerospace, Maritime and Defence Industries Association (AMD), which provided input for the code said it was “now in the DTI domain”.